If you live in California, Southwest and Chase have a great deal for you. Through November 30, 2017, when you open a new Rapid Rewards credit card and make a purchase, you’ll get a free Companion Pass. When you have Companion Pass status, you can name one designated companion who can fly free with you every time you fly on Southwest, provided they share the exact itinerary as you, as long as a purchaseable fare for your itinerary is still available. In addition, you’ll earn 40,000 points after you spend $1,000 in the first three months of opening your account. For a limited time, through November 9, 2016, you can earn 10,000 Medallion Qualification Miles (MQMs) and 70,000 bonus miles after you spend $3,000 in eligible purchases on your new Card in your first 3 months. You’ll also earn a $100 statement credit when you make a Delta purchase within your first 3 months. 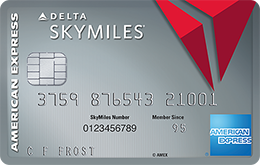 This is the most generous offer that’s ever been available for the Platinum Delta Skymiles card. The offer is also available on the Business version of the card, though it requires an increased amount of $5,000 in eligible spending. Amazon’s annual Prime Day, promoted as Amazon’s biggest event ever with 24 hours of deals, is fast approaching on July 12. And Amazon is doing everything it can to remind customers of that fact. This includes offering deals to those who use its credit cards. The SPG Credit Card from American Express has long been one of my favorite travel credit cards, primarily because SPG points have traditionally been quite flexible and among the most valuable, when it comes to loyalty points. Coming August 11, 2015, in addition to a new card design, several new benefits will be added to the card, making it more attractive to frequent travelers, at the cost of an increased annual fee. BP recently announced a few brand new credit cards, one of which may be quite attractive to some people. The new BP Visa® Credit Card, issued by new partner Synchrony Financial, offers a reward of 25 cents off per gallon for every $100 you spend everywhere Visa is accepted for the first 90 days, excluding non-BP gas stations. After 90 days, you’ll earn a discount of 25 cents per gallon for every $100 you spend at BP, 15 cents per gallon for every $100 you spend on eligible groceries, dining and travel, and 5 cents per gallon on everything else, excluding non-BP gas stations. There are a number of restrictions to note, however. Today, Orbitz announced the launch of a new travel rewards Visa credit card, called the Orbitz Rewards Visa Card. Building upon the loyalty program it introduced last fall, the new card carries some perks that should appeal to the travel-faring public. Among them: A minimum of 2% rewards on all purchases, and up to 10% rewards on eligible hotel bookings made through Orbitz’s mobile app, along with no annual fee and no foreign transaction fees. Beginning May 3, 2013 and continuing through the rest of the year, the Chase Sapphire® Card and Chase Sapphire Preferred® Card will each earn 3x points on dining on the first Friday of each month as part of a new promotion from Chase called First Fridays. As each card normally earns 2x points per dollar spent on dining purchases, the promo represents an extra point per dollar on dining for the first Friday of each month. In order to qualify for the bonus, your transaction must occur by midnight on May 3, June 7, July 5, August 2, September 6, October 4, November 1, or December 6, 2013 in the time zone in which you are dining. Allow 6 to 8 weeks after qualifying transactions for the bonus to post to your account. There is no limit on the number of bonus points you can earn from this offer. In a move that will likely upset many long-term Chase Freedom cardholders, Chase is in the process of making changes to its Chase Exclusives program. The program–which is no longer available to new cardmembers–currently allows those with a Chase Freedom card and a Chase checking account to earn an additional bonus of 10% on all purchases (excluding 5% rotating category purchases) plus 10 bonus points per transaction. That’s in addition to the normal 1 point per $1 spent that you would earn on regular spending. This bonus structure made the Chase Freedom the hands-down best credit card to use for small dollar transactions. For instance, a $1 purchase would earn 11 points–1 point for the dollar spent, plus another 10 bonus points for the transaction. Unfortunately, Chase will soon be replacing this rewards program in favor of a simpler structure, though far less lucrative on smaller transactions. Under this offer, when you apply for an American Express® Premier Rewards Gold Card, you’ll receive 50,000 Membership Rewards points after spending a minimum of $1,000 in your first 3 months. In addition, the annual fee of $175 is waived for the first year. That’s a much sweeter deal than the public offer for this card which requires $2,000 of spending for only 25,000 Membership Rewards points. For a limited time, the recently launched AirTran Airways A+ Rewards Credit Card is offering 2 round-trip flights one round-trip flight when you sign up for a new account. New cardholders will earn 32 bonus A+ Rewards credits (worth 2 round-trip flights) after spending $2,000 within the first 3 months of opening their account. Update 12/10: The limited-time 2 round-trip offer has expired. You will now earn one round-trip flight after you spend $1,000 in the first 3 months of opening your account. A+ Rewards Credits can be redeemed for flights on either AirTran Airways or Southwest Airlines. If redeemed on Southwest, 32 A+ Rewards Credits are also worth 2 Southwest flight awards.